One such sport which has helped me in building my character and has created my interest in sports is the sport about which I am going to tell you in this post, and that is Barebow Archery. 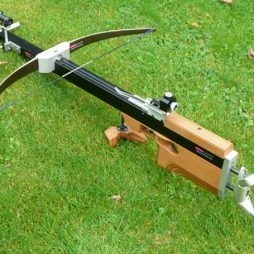 Before talking about Barebow Archery, in particular, I would like you to explain what is Archery? So Archery is a skill of using a bow to shoot arrows. Similarly, Barebow Archery is also a skill of doing the same but in a slightly different way. It is a modern form of archery that has no stabilizer, no markings or anything else to help you aim. As the name suggests, a barebow is used in barebow archery. A barebow is a shafted bow with no curve at the extension of it, because of this the bow has to be very long in order to be in great power. Archery is one of the oldest skills practiced all over the world. Its evolution began at the starting of mankind’s history, evidence of which has been found around the globe. Barebow archery is the modern form of archery which has taken archery to martial arts level. 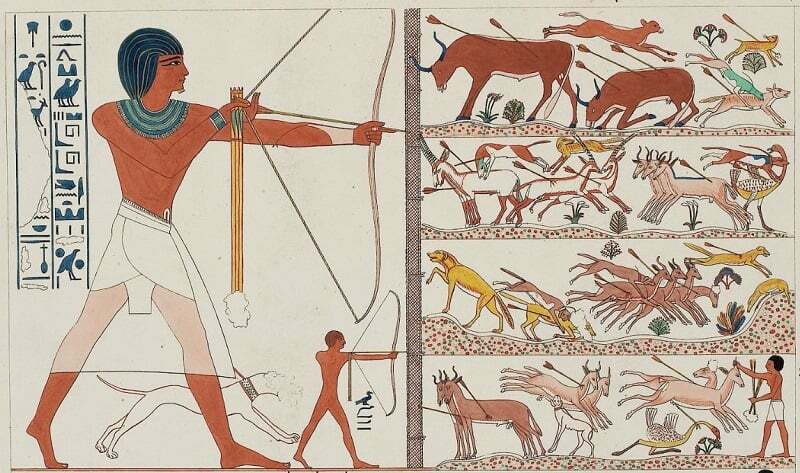 It is known that mostly Ancient Egyptians adapted the idea of playing archery around 3,000 BC for mainly hunting and contentment. They regularly used bows and arrows and are the earliest people known to do so, whereas in China it was adopted during the time of 1766-1027BC. It is known that during the Zhou Dynasty(1027-256BC) the honorable at the court used to attend archery tournaments in which a three-man team, a driver, a lancer and an archer were carried by a war wagon and further the whole tournament was accompanied by music and infused with entertainment. Later the Chinese people popularized archery among Japanese people in around sixth century which has an astounding mark on the culture. 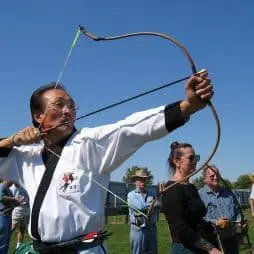 It became a very famous sport among the Japenese and is now popular martial art, originally called as “kyujutsu,” meaning the art of bow and is now known as “kyudo,” meaning the way of the bow. It is to develop physically, morally and spiritually. The kyudo bow is of 2.21 meters length and is made of layered strips of bamboo. The first ever known archery competition in modern times was held in Finsbury, England in 1583 and had nearly around 3,000 participants. Earlier archery was used as the way of fighting a war, but as soon as more new things were introduced in order to fight a war, archery’s importance decreased at a higher rate and instead refined into a sporting and competitive sport. In Olympic Games archery was introduced in 1990 and has remained in the Olympic since then, with competition in various categories differentiated as men and women, individual and team, recurve archery whereas in Paralympic Games it was introduced much later in 1960 and it has only one category as men’s and women’s individual competitions. Technology is a thing which keeps on advancing day to day, and the same happens in archery. With technological advancements in archery, the bows used to shoot arrows have also been enhanced with the help of new technologies. 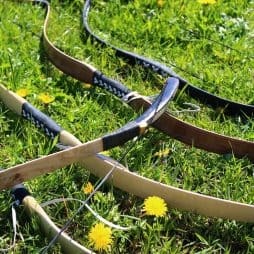 In earlier times people used to prefer basic “stick” bows, arrows made up of wood and other gear from bygone eras whereas the modern bows are much more advanced than that. The modern bows are of better quality are made from the highest quality woods and strings to make it more efficient. Each of the advancement in the bows increases it’s accuracy and efficiency, therefore, attracting a lot of people into the sport. Old bows were easy to use, and therefore it attracts a lot of audiences even now whereas any archer who is using a modern bow must be highly skilled and should have accurate knowledge about the correct usage of the same in order to achieve success. The main difference between traditional archery and barebow archery is only the structure of bows used to shoot arrows in both the type. Recurve bows got it’s name form the shape of the bow. The center of the arm of the bow bends towards the archer, and the end part of the arm of the bow bends away from the archer thus making the bow more powerful in order to shoot. It is designed in such a way that the archer need not to apply much of their strength in order to perform, and this is why it is mostly used by the beginner archers, and as they become more skilled, they can add additional features to the same. 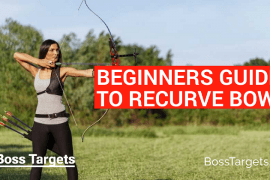 The recurve archer is also known as the traditional archer. 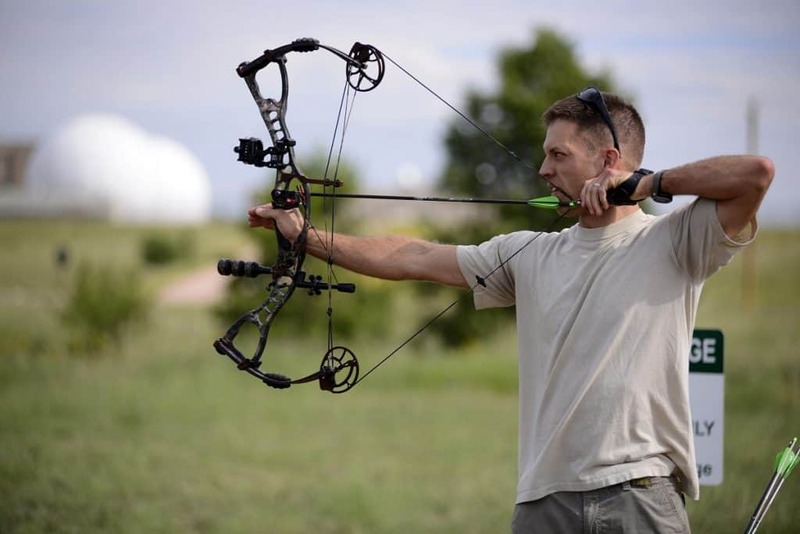 Takedown bow is a type of recurve bow only with some additional features such as in a takedown bow the arms of the bow can be taken away from the part where the arms of the bow connect for easy storage, portage, and advancements. It is made up of fiberglass on a central piece of wood, and the part where the arms of the bow connect is made of alloy, carbon, aluminum or wood. Takedown bows are also easy to use and are not costly. A takedown bow is basically used because it can be dissembled so that is could be carried by the archer anywhere very easily and in a takedown bow the archer can easily increase draw weight by changing the arms of the bow once they get stronger and well-trained. Longbow is also a type of traditional bow and is one of the oldest bows, introduced in 1298. If you ever see a movie with a war scene from before the 16th century, then there are chances that you can see this type of bow. It has a very simple architecture. It is made up of a long curved wooden piece which is very good in length, or we can say that it is of the same height as the archer. Longbow does not have any space to rest an arrow, and this is why these bows are not easy to aim and do not have good speed. 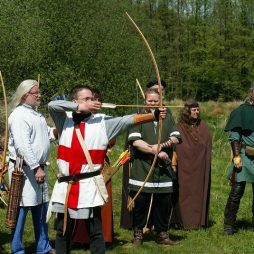 Only properly trained and highly skilled archers prefer to use such type of bows as using a longbow arrow could be very challenging if you are unaware of the skills required to use it. Compound bows were basically introduced in the 20th century. These type of bows are operated mechanically by pulleys, cables, and cams which comes out as a great help to the archers in holding heavy draw weight. Compound bows are light weighted bows with good speed and are made up of aluminum, magnesium, carbon, and fiberglass. The arms of the bows are stiff making it more efficient and accurate. Compound bows are of different sizes, styles, and composition. So the archer must know to choose the right type of bow according to their skills. 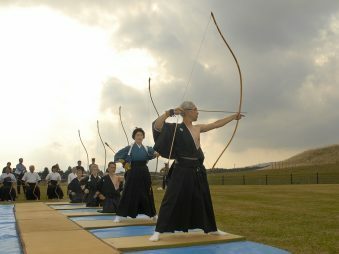 Yumi bows are used in Kyudo (Japenese archery). In earlier times these type of bows were used in wars before the emergence of guns, cannons, etc. It is very tall, even taller than the archer, made up of bamboo and wood. The yumi bows are categorized into three types. The first type is the synthetic yumi bow which is made up of carbon-fiber and fiberglass. The second type is the lacquered bamboo yumi bow. The third and the final type is the standard authentic bamboo yumi. The standard bamboo yumi is used the most used amongst the three of them. Although the standard bamboo yumi is the most expensive amongst the three of them, because of it’s advanced features it is more preferable. Reflex bows have curved limbs that face away from the archer. It bends forward in C shape and is used mostly used by the professional. It is the modern form of the bows with the most advanced technologies used in its creation and because of its structure it is of excellent speed and is very accurate. In order to use such bows, the archer must have proper training and must be skilled enough to use them accurately. Crossbows were used in ancient times by the military during the war. In modern times also crossbows are used for hunting and sports. The draw length of the crossbow is comparatively smaller than the regular bows. That’s one of the reason is not used much by the archers because of its architecture. In order to achieve the target, the archer must have a firm grip on the string. There are various techniques in bare bow archery which are taken into consideration by an individual archer. Archer uses different combinations of these methods for a definite range. Gap method is a tip to arrow method that every archer uses. It involves a single technique to aim at the tip of your arrow at the ground and the gap which is created help to hit the target. Gap method involves setting a finger on the string and the same facial reference at different distances. Aiming for the target is very difficult. For determining the correct distance to hit the target becomes frustrating and annoying especially for beginners. One must maintain focus and determination for the same. Gap shooting is especially adhered by beginner’s in their early stage of archery, and it helps in aiming the target. A very common method in archery, where the anchor point changes on archer’s face as per the target. It is needed to aim at longer distance and longbow. The main advantage in face walking is that the position of bow remains same with distances because of the positioning of our draw fingers, being in the same position on the string irrespective of distances. Our left and right variations occur, due to our hand placement at face instead of being a mouth, this being the most significant disadvantage. Our facial references are not reliable in aiming for a target. One change in facial reference can change the whole game. It is very tricky and requires more hand movement and patience to aim. For this, we need to understand and practice different hand positioning. This is the most common method in field archery. In this method, the archer’s fingers change position with the distance, but the anchor point remains the same. The whole game is of finger positioning, closer target, lower positioning of a finger on the string. Target further away requires to Place finger close to the string, determining the elevation of the distance to be shot. With this, we can aim at different reliable targets. For string walking three fingers should be under the nock and facial reference point is the forefinger tip touching the corner of the mouth. Despite these few methods archers use their combinations to achieve a better target. A combination of string walking a gap shooting is way more popular than string walking itself. A combination of string and face walking is used by longbow archers. In a game of archery, the maximum time permitted to shoot an end of three arrows is two minutes. Any arrow cannot be re-shot in any circumstances. It will be considered not shot if it falls from the bow or misfires. Any arrow that hangs on the target will store marks based on the marks it makes on the target face. Rules may differ according to the ruling body, and any archer has to obey those rules. How far you’re pulling back the string to shoot. The direction of the force to raise the aim higher. Try using your biceps instead of your back while aiming. The bow arm shoulder angle. There are much more tips you must keep in mind while playing archery. But the above mentioned are some of the main tips which an archer must follow. Q1. What is Barebow archery? Barebow archery is a modern form of archery that has no stabilizer, no markings or anything to help you aim. Q2. What is the set of rules an archer should follow in archery? Any arrow that hangs on the target will store marks based on the scores it makes on the target face. Q3. 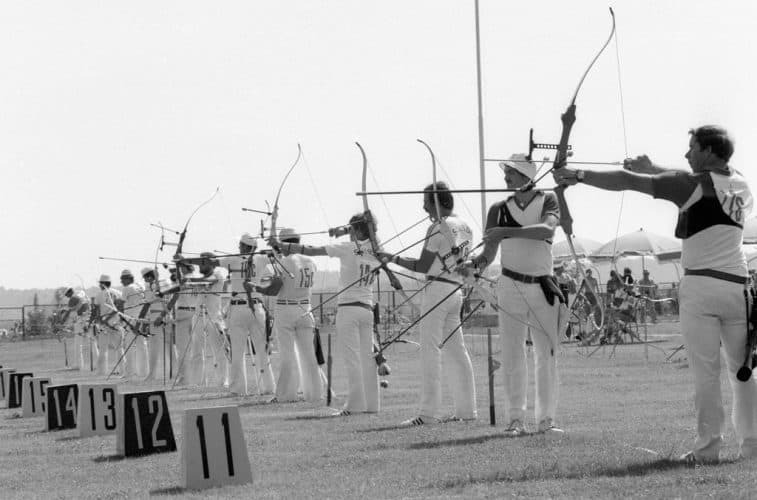 In what year archery was introduced in the Olympic Games?